So Signed!!! Another awesome petition!!!! Thnx for creating and posting hun!!! Stars to all above! Just signed with a TY for posting...My # was 16 I think...but was playing around sending stars...hope #'s went up! Thank you, Freya, for this posting and petition. Noted and signed! Thanks Freya! Thanks Freya, noted and signed. 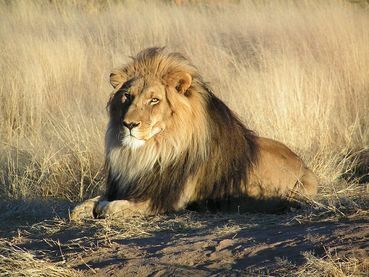 Lions and other big cats are on the verge of total extinction. Save our Lions and big cats! There is no medical value in using Lion's bones at all. Freya thank you for caring2share this critical petition to stop canned lion hunts and protect Lions from trophy hunters and Chinese "medicine" . I signed and shared on Twitter & my Pinterest boards. 449 SUPPORTERS 5,000 GOAL ... More Signatures Needed !